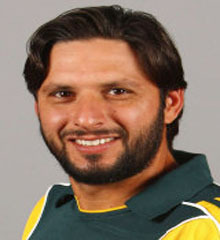 As the war between former Pakistani Captain Shahid Afridi and Pakistan Cricket Board PCB officials has grown the PCB has also stopped Afridi from playing any type of Cricket whether its League Cricket or International Cricket. Shahid Afridi who was playing for English county team Hampshire is also not allowed anymore to play as PCB is not giving him NOC for this. on other hand tough Statements between Afridi and PCB officials continues to exchange.